For Nigeria to effectively move away from an oil-dependent economy and industrialise, it must develop the blue economy. 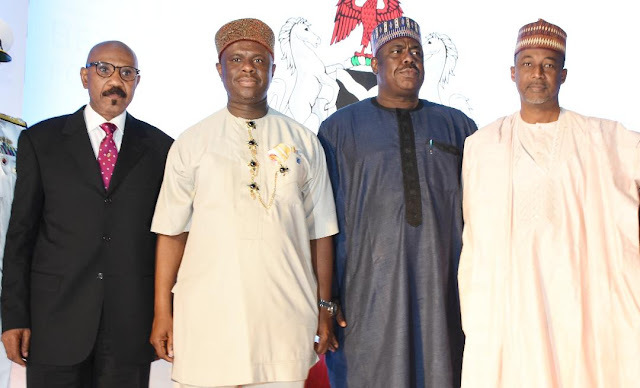 This was the position of the Director-General of the Nigerian Maritime Administration and Safety Agency (NIMASA), Dr. Dakuku Peterside and other top players in the maritime industry, at the 2018 World Maritime Day celebration held yesterday in Lagos. Usoro said the impact of the Dakuku-led management of the Agency was being felt on the continent, adding that this is one of the reasons he was re-elected to lead the Association of African Maritime Administrations (AAMA) for another term at the recently held fourth conference of the body in Egypt. The World Maritime Day is a day set aside by the IMO to celebrate the contributions of the maritime industry to the global economy. Though internationally marked on September 27, each IMO member state has the right to choose a suitable date on which to commemorate the event.